A Reelqik way to stay in touch and share meaningful moments. 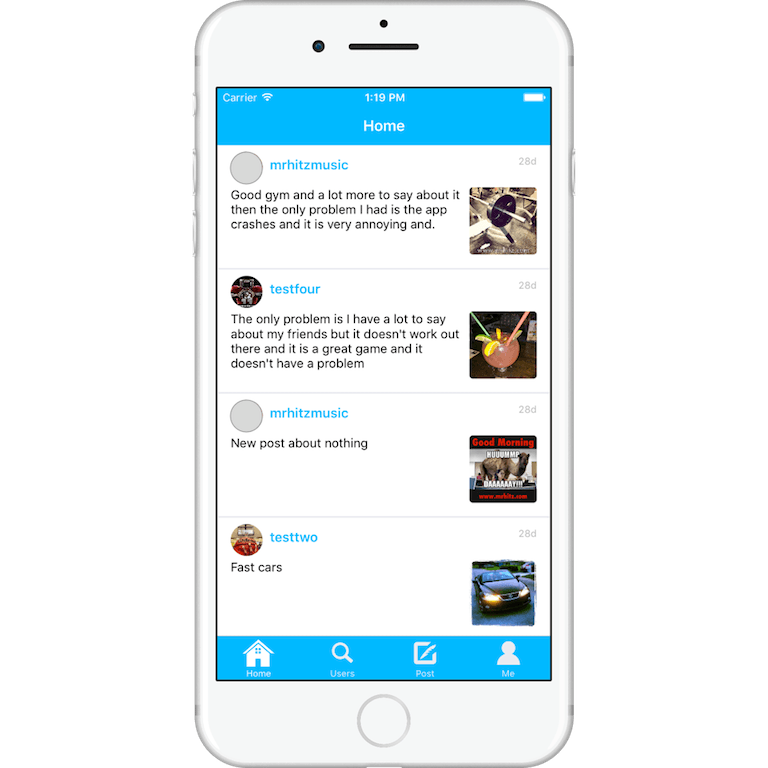 Social media app project with many standard feature you would expect in a social media app. App is comparable to twitter with many similar features and more. Additional features can be added to fit your needs. UI/UX flows to make sure users have smooth experience. Custom backend database is also included.